Hello everyone, Sue Lie and the Arcturians here. I Sue, as the Arcturians are everywhere, am just back from my trip “Into The Woods.” Our friends the whales followed up the coast. Well they didn’t follow me, I followed them. Either way I saw their wonderful presence more than I ever had. They should have been off to Hawaii by now, but they seemed to be enjoying the waters off of Big Sur and Pacific Grove. I know a lot of you are whale lovers, so I lovingly share this information with you. Perhaps they were telling the humans something? In fact, all life seems to be telling us something, if only we can be still enough and blend enough into the Unity Consciousness of the ONE to communicate with ALL live. Today, our program is Inter-dimensional Communication with ALL life. The secret to this communication is UNITY CONSCIOUSNESS! We, the Arcturians wish to bless our grounded ones who have volunteered to take a body to assist Earth in Her great NOW of planetary ascension. We primarily wish to tell each and every ONE of you, that YOU have a very special purpose that you have volunteered to fulfill in this NOW of Gaia’s ascension. We apologize for our “confusing” referrals to “time.” We find it extremely limiting to speak in the linear and sequential language of the third dimension. Since we all resonate within the ONE, we need not look outside of us into a “different” location, as our grounded ones must do. Instead, we focus inside of our being to “take the call,” or “give our answer.” Of course, since we do not resonate to a time/space reality, the “inner” call and our answer occur simultaneously. Because our Light Language is free of time and space, you must expand your consciousness into the fifth dimension and beyond to receive and understand it. Then, you can fully relax into the awareness of our presence as you allow our “beingness” to integrate into your Multidimensional SELF. As you relax into your fifth-dimensional consciousness, feel how your earth vessel begins to blur into its environment? This blurring sensation is your Lightbody peeking beyond the limitations of your clay vessel. Imagine now that your earth vessel is similar to a cave. 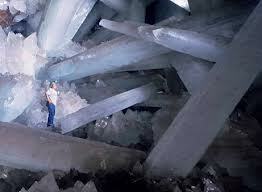 Your consciousness had to hide in this “cave” in order to find protections from a hostile world. Imagine yourself in a life in which you lived in a cave to find protection. Do you feel how that body was primitive and dense? Now, we ask you to imagine that you are finding the courage to step out of that cave. As you step out of the dark cave, you realize that your primitive body begins to evolve. First, you stand up straight, and then you begin to “think” about your reality instead of perceiving everything as mating, food or danger. When you begin to think about your reality, rather than how to survive your reality, a curiosity and imagination begins to take hold in your consciousness. It is then that you awaken your imagination, and you begin to have IDEAS of What you can do and Who you can be. As you step out of your cave, your body begins to change. 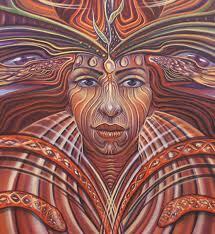 As your body changes, you begin to perceive reality in a new way. The hostile planet that once surrounded you is less hostile, for you are seeing it with new eyes. You are no longer a victim to the whims of others, because your connection to your SELF constantly reminds you that YOU are the creator of your reality. In the same way, YOU are the creator of your body. On the other hand, when you think of your self as the “Light of Spirit,” the concept of your body moves beyond the limits of a clay vessel and encompasses your ever-expanding aura. Then, when you perceive that your “self” includes your aura, YOU are suddenly much bigger. YOU are united with everything and everyone in that room. YOU feel everything and everyone as your SELF. YOU perceive reality as it appears in the fifth dimension and beyond. Or the paper you are reading? And walk barefoot on the earth. Once you are fully bonded with the third-dimensional elements, you can ask them to assist you to unite with their higher-dimensional elementals that flow into and through your body. With this higher multidimensional boost you can more easily calibrate your consciousness to the fifth-dimensional frequencies of reality. We suggest that you also do this exercise with others. Then you can share being the elements of earth, air, fire and water while you also experience of being the people in the room, on the phone, Internet or Skype. You do not need to be physically together, as it is the connection of your multidimensional consciousness that is important. When you deeply experience the elemental of “other” humans, you unite with those “other” humans. 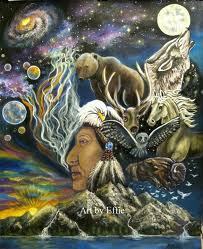 Once you unite with humans via your own elements of earth, air, fir and water, you become joined on a cellular level. Wonderfully, as each of you expands your consciousness into your Multidimensional SELF, you will share your experience via your Unity Consciousness. Please remember that Unity Consciousness is innate. It does not need to learned or even remembered. 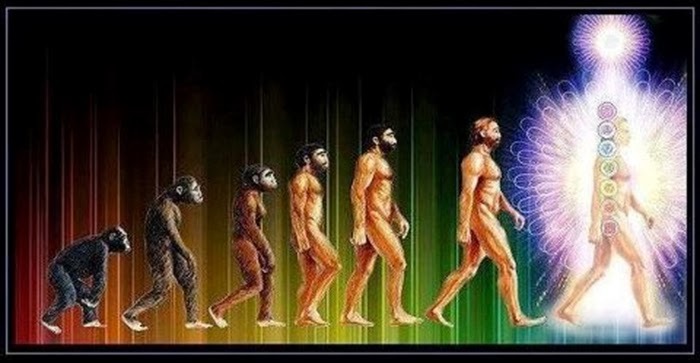 You are all united on a cellular level via your planetary earth, air, fire and water. As the cellular structure of one person remembers to expand into his or her innate fifth-dimensional expression, they sends a wave of Unity Consciousness to every cell of every inhabitant of Earth, including the planet it self. At first, just one cell will not make much of an impact. However, this process progresses in an exponential manner. Thus, one cell shares with two cells, then four cells, then eight cells, and one-and-on. In this manner, all life will begin to consciously experience their fifth dimensional expression. Once the threshold into fifth-dimensional Lightbody is crossed, time and space are extinct concepts. At this point, there will only be HERE and NOW. This multidimensional light, which includes all dimensions, is constantly caressing you on a cellular level to guide you “Home” to the NOW of the ONE. 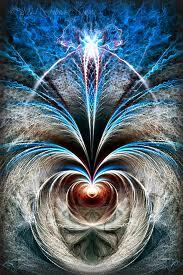 To your true Multidimensional SELF Who is infinitely HERE NOW!